Are you asking yourself how do I get car insurance ? Did you get cheap car insurance ? Do you have enough coverage ? While most people know whether they have liability, collision and/or comprehensive coverage, few people pay much attention to their insurance coverage until after they’ve been in an accident. Shopping for car insurance is a financial planning topic that is often overlooked, since most teenagers are added to mom and dad’s insurance policy when they first get behind the wheel, and then later shop for the least expensive policy when they have to the pay the bill on their own. In this article we’ll go over car insurance coverage and give you some tips to help you get the most for your money. – liability : this coverage pays for third party personal injury and death related claims, as well as any damage to another person’s property that occurs as a result of your automobile accident. Liability coverage is required in all but a few states. – collision : this coverage pays to repair your car after an accident. It is required if you have a loan against your vehicle because the car isn’t really yours, it belongs to the bank, which wants to avoid getting stuck with a wrecked car. – comprehensive : this coverage pays for damage incurred as a result of theft, vandalism, fire, water, etc. If you paid cash for your car or paid off your car loan, you may not need collision or comprehensive coverage, particularly if the blue book value of your car is less than $5,000. – full tort / limited tort : you can reduce your insurance bill by a few dollars if you give up your right to sue in the event of an accident. However, giving up your rights is rarely a smart financial move. – medical payments / personal injury protection : personal injury protection pays the cost of medical bills for the policyholder and passengers. If you have good health insurance coverage, this may not be necessary. – uninsured / underinsured motorist coverage : this option provides for medical and property damage coverage if you are involved in an accident with an uninsured or underinsured motorist. – towing : towing coverage pays for a tow if your vehicle cannot be driven after an accident. If you are a member of an automobile service, or if your vehicle comes with roadside assistance provided by the manufacturer, this coverage is unnecessary. – glass breakage : some companies do not cover broken glass under their collision or comprehensive policies. In general, this coverage is not worth the long term cost. – rental : this insurance option covers the cost of a rental car, but rental cars are so inexpensive that it may not be worth paying for this coverage. – gap : if you demolish that $35,000 sport utility vehicle 10 minutes after you drive it off the lot, the amount the insurance company pays is likely to leave you with no vehicle and a big bill. The same thing applies if your new set of wheels gets stolen. Gap insurance pays the difference between the blue book value of a vehicle and the amount of money still owed on the car. If you are leasing a vehicle or purchasing a vehicle with a low, or no, down payment, gap insurance is a great idea. – deductible : this is the amount of money that you pay out of your own pocket if you get in an accident. The higher your deductible, the lower your insurance bill. In general, a deductible of at least $500 is worth considering, as damage to your vehicle that comes in at less than $500 can often be paid without filing an insurance claim. – age : younger, less experienced drivers have higher insurance rates. – gender : men have higher rates than women. – demographics : people living in high crime areas pay more than those living in low crime areas. – claims : accident prone drivers pay more. If you want to keep your rates low, keep the number of claims that you file to a minimum. – moving violations : speeding and other moving violations all have a negative impact on your insurance bill. Obey the law to help keep your rates from rising. – vehicle choice : sports cars cost more to insure than sedans, and expensive cars cost more to insure than cheap ones do. 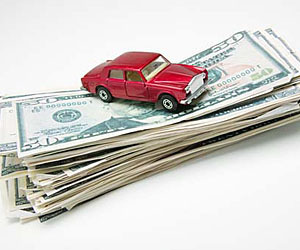 Looking into the cost of insurance before you purchase that new car could help you save a bundle on your car insurance. – driving habits : the number of miles that you drive, whether or not you use your car for work, and the distance between your home and work all play a role in determining your rates. – theft deterrent systems : if you have an alarm on your car, you’ll pay less to insure your vehicle. – safety devices : air bags and anti lock brakes both work in your favor by keeping you safer and lowering your insurance bill. – accident prevention training : some companies offer discounts if you take a driver’s education training course. – multiple policies : if you have more than one car and / or also have homeowner or renter’s insurance, keep in mind that many insurance companies offer discounts based on the number of policies that you have with them. – payment plan : some insurance companies offer discounts based on your payment plan. Paying your entire yearly bill at one time, instead of in installments, may lead to a discount. – credit score : good credit lowers your car insurance rates. Bad credit increases them. When you’re in the market for car insurance, careful shopping is a must. Prices, features and benefits vary widely from company to company. Minimum coverage requirements vary too. In Florida, for instance, the minimum coverage requirements are $10,000 for personal injury protection and $10,000 for property damage. In the personal injury department, $10,000 dollars doesn’t buy much in the way of medical services should an operation or prolonged stay in the hospital be required. The same is true when it comes to personal property, as there are many sport utility vehicles and luxury cars that are priced well above $30,000. Therefore, protecting your financial assets in the event of an accident is likely to require far more coverage. Comparison shopping is always a smart thing to do, and there are many websites designed to help consumers get car insurance quote, get car insurance. Insurance agents can help you to get car insurance quotes, get a quote for car insurance. Independent agents often offer policies from multiple carriers and can help you find the policy best suited to your needs and get a quote on car insurance. Before you eschew an agent in favor of an online provider to get a car insurance quote, think carefully about who you are going to call after you have an accident. Your agent has an incentive, in the form of your repeat business, to provide good service, while an online service may come up short. Before you buy a policy, research your policy provider, regardless of who it is. Numerous firms rate the financial health of insurance companies, and your state also has an insurance website that rates firms based on the number of complaints they have received. Shopping wisely can help you protect your health, your assets and your wallet, so put forth the effort to determine the type and amount of coverage that you need. Also make sure that you review and understand your policy before you sign on the dotted line. If you plan well, you’ll be pleased with the results, should you ever find the need to put your policy to the test by making a claim. One in three consumers pays over the odds for car insurance. The major crime most drivers commit against their personal finances is failing to shop around for the best premium and simply accepting your insurer’s renewal quote, which is likely to be much higher. 1. Shop around for the best deals : savings of hundreds of pounds can be found if you shop around when you renew your cover. Be careful though. When shopping around for car insurance, it’s important to make sure that you are comparing like for like cover. Some policies may seem cheaper, but you may find you don’t have the same level of cover when you have to make a claim. Use an online comparison service to do the hard work for you. Put in your details and check the prices that come up. You can alter the excess that you are willing to pay and the mileage you will drive and get new quotes. Also check the insurers that don’t feature in comparison sites. 2. Don’t put everyone on your policy : ensure that only regular drivers are named on the policy. You can always add someone for a few days when they really need to drive the car. 3. Protect that no claims bonus : a long no claims bonus is the single best way of cutting car insurance costs, so protect it. This may increase the premium by a few pounds, but this fades into insignificance against the potential loss of a 90 % discount on a premium of several hundred pounds. But the definition of a protected no claims bonus can vary widely between insurers. Though accidents caused by another driver will normally have no impact on such a bonus, those caused by the insured could. The key is to always check the policy carefully. 4. Take a higher excess : increase your voluntary excess. Agreeing to pay more towards the cost of any accident repairs will bring down premiums. If you are not at fault in an accident, the excess can be recovered. Beware being tempted to allow it to rise too high, however, especially if you have a lower value car. 5. Secure your car : fitting an approved alarm, immobiliser or tracking device can attract a discount of around 5%. Many newer cars will come with these as standard, so make sure you check if you have them and then declare them. 6. Do less miles : the fewer miles the car covers, the greater the saving. For example, a reduction in annual mileage of 5,000 miles could save a typical 35 year old driver about £50 a year in premiums. A cut of 10,000 miles a year could save more than £100. But you must be honest about your annual mileage, as inaccuracy will jeopardise any claim. Check your use cover, if you don’t use your car to drive to work or for business, both things that increase your premium, you may be able to get a cheaper rate. 7. Think carefully about adding young drivers : adding a young, inexperienced driver to your policy can be a false economy, especially if you have a large or higher powered vehicle. The premium will still be affected by the youngest driver and he or she may not have a no claims bonus. Insurers have also been cracking down on fronting, where parents insure cars in their name for children to cut costs, so make sure if you are the policyholder on a car driven by your children that you are actually its main driver, or that you declare otherwise. Looking for an insurance policy for your teenager ? Check out our guide to insuring a young driver. 8. Watch out for insurance trap cars : the EU has ruled that finance companies can no longer consider your gender when deciding what to charge you. This was triggered by a European court of justice ruling on a challenge by a Belgian consumer group. Its case was that the exemption for insurers contradicted the principle of gender equality. The ban came into force on 21 December 2012, after fierce campaign for UK firms which argued that they were not discriminating between the sexes, but instead were basing their prices on statistics. Their argument was that as women live longer they pay less for life insurance, and get cheaper car cover because they have fewer accidents. The move to so called gender neutral pricing will affect premiums for all types of insurance, including car, life, private medical and income cover. If you decide to change your car, check with your insurer if the model will have a significant effect on the premium. Sporty cars can attract a high premium and often a slightly different model smaller engine can make a big difference in your favour. It will also probably save you on petrol too ! 9. Remember what the garage is for : if your garage is full of junk, clear it out and use it for your car. Insurers like cars kept in garages overnight and this can dramatically cut your premium. Aside from the benefit of not having to scrape the ice off in winter, there is a higher risk of theft by keeping the car on the road, so keeping it in the garage will be reflected in your premium. 10. Be a better driver and sign up to a blackbox : blackbox policies, where the insurer instals a system in your car to monitor your driving, reward those who drive carefully. Officially called telematics, these check your speed, your handling and how cautiously you drive, and also whether you are on the road at perceived dangerous times, ie the early hours of the morning. They can cut premiums substantially once you start proving you are a good driver. The biggest win is for those whose premiums are high, especially young drivers.